It’s been years since Facebook started acting like a data demigod hoarding up user data and handing it over to whoever it wants. While the Facebook CEO doesn’t appear to respond to any of the privacy concerns that users have raised time and again, the company is finally at the center of a much needed user outcry this week. Following the revelation by a whistleblower who disclosed how easy it was to “legitimately” take Facebook user data without informed consent, the social networking giant that tried its best to downplay the issue is now grappling with what is being equated with last year’s Uber episode. The hashtag #DeleteFacebook has been trending on Twitter for over the past two days. While not everyone believes if the company that has a consistent track record of trampling user choices will actually delete their data, it will at least stop the company from tracking you everywhere and then helping others target your “inner demons“. If you have been thinking about deleting your Facebook account, you won’t be the only one. WhatsApp’s cofounder, Brain Acton, appears to be onboard this latest campaign and thinks “it is time” everyone just moved past Facebook. If the person who managed to make billions of dollars from Facebook (the company paid $16 billion for WhatsApp acquisition) is up for the move, who are we to argue. 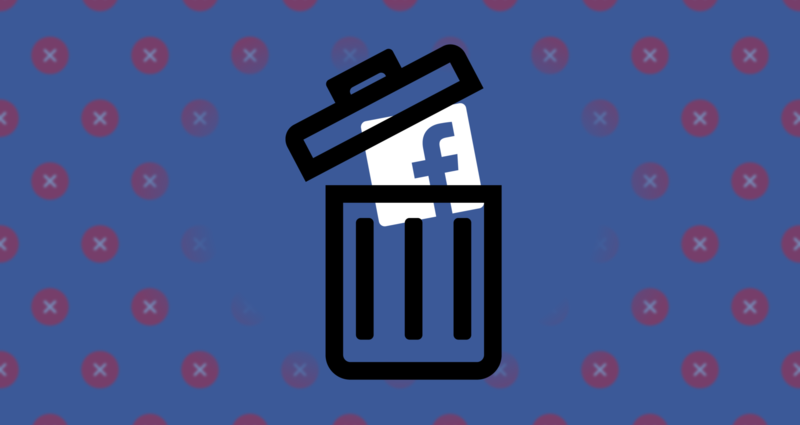 It should be noted that Acton left the company to start his own foundation earlier this year, decided to support Signal – WhatsApp competitor – and is now up for the delete Facebook movement. As The Verge noted, Acton isn’t the only Facebook executive who isn’t happy with how the company has turned into a surveillance machine. Former head of growth at Facebook, Chamath Palihapitiya, had said last year that the company has “created tools that are ripping apart the social fabric of how society works.” But, no one listened to him. Let’s see if things are going to get any different this time around especially with regulators around the world investigating the issue.